Stalled project of the year award, again - To be honest, aside from changing a few words, this is a copy and paste from the 2015 Year in Review. Although the city has so many stalled projects in the pipeline, this award goes to the proposed aquatics center. First, unlike other projects floating around town, pun intended, this one has an actual funding source of about $14 million. Unfortunately, the Elk Grove City Council is not content to build within its budget, it seems to think by making the complex a world-class facility - with a world-class budget - including an Olympic-sized pool and 10-meter diving platform, it can attract Olympics trials to the city. Meanwhile, the Southgate Recreation and Parks District's is opening their aquatics facility by mid-2017, just one mile north of the city and is being built on a budget of around, you guessed it, $14 million. 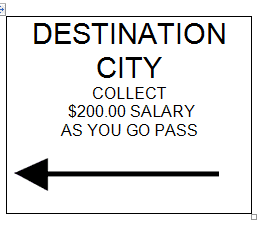 Oh, did we mention the City still is having trouble identifying an operator for the facility….details, details! 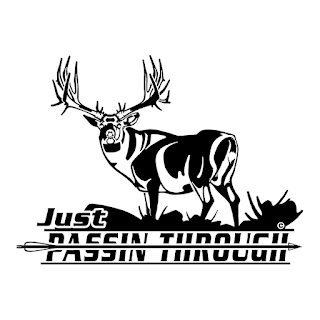 Most overused expression by an Elk Grove City Council member – For the last several years, this award would have gone to former Mayor Gary Davis for his use of “laser focused” and “this is your house” nonsense that he used at the opening of City Council meetings. However, we are entering a new era, and our new Mayor Steve Ly has started using an expression on the occasion when he tries to add something to Council deliberations. His expression, after trying to be on both sides of an issue is “that being the case.” Watch for it. Major announcement of the year, Part I - Undoubtedly this was former Mayor Gary Davis' announcement last Mach during what turned out to be his last State of the City address where he announced that the City had recruited a major Silicon Valley employer to move to the Grove. That company, Fremont, Calif.-based NRC is, to be kind, at the very bottom of the high-tech food chain employing low-skill, low wage temporary employees. But, hey, it is a start, right? Since Davis' rosy announcement that they would be locating in the City's highly-touted employment-oriented development currently called the Southeast Policy Area (SEPA) things have changed. Last September NRC told EGN they were looking at properties outside the SEPA, and that their five-year full employment projection was about a quarter of what Davis had proclaimed. Since then, neither the City nor NRC has made any other announcement regarding their relocation plans. 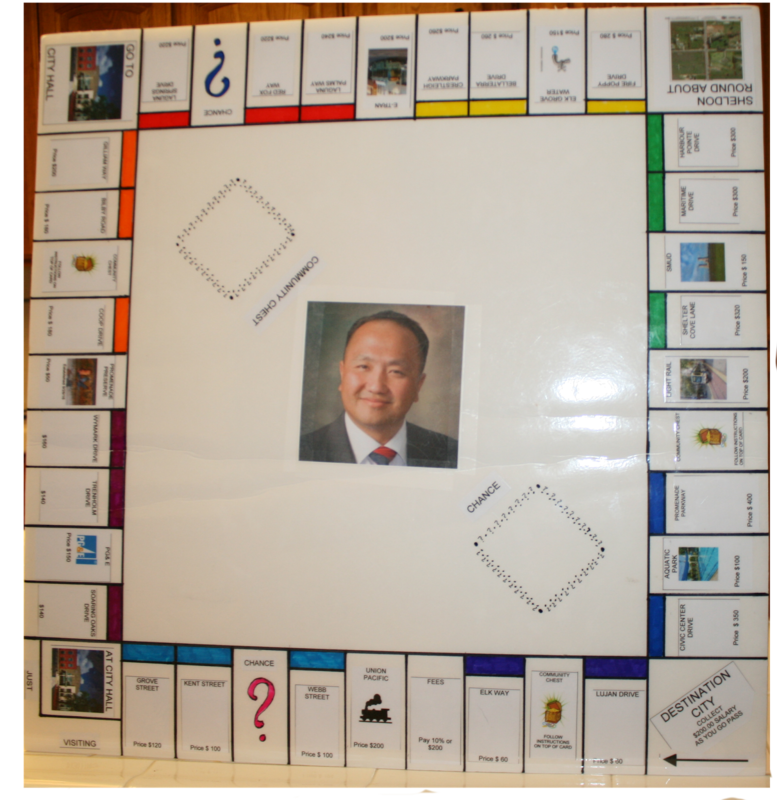 Most narcissistic Elk Grove City Councilman – Without hesitation, this goes to his honor, Mayor Steve Ly. First, there is his need to have his own personal photographer, a body guard, and of course there is the constant drumbeat of his humble beginnings, and we cannot ignore his fetishes with being in the media spotlight. Then of course there are his own personally-sanctioned Vice Mayor, and not surprisingly Mayoral seals. And just for good measure, why not commission a painting. 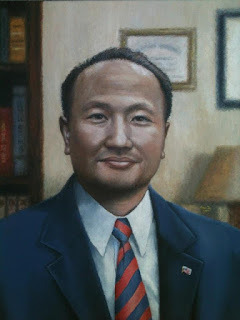 Really, have you ever heard of another city councilman who commissioned a painting of themselves? 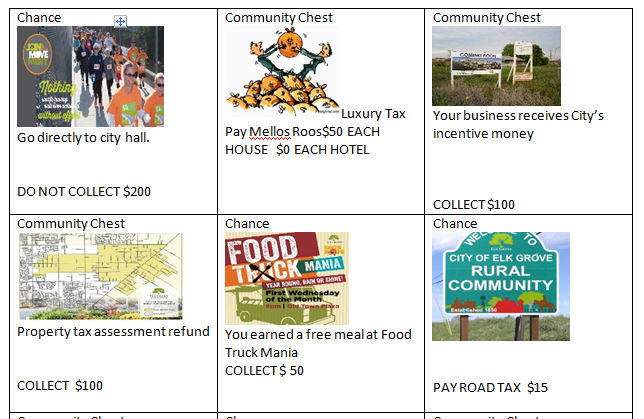 Major Announcement of the year, Part II – It was a toss-up, but given that NRC (see above) promised to be in Elk Grove within a year bringing all sorts of jobs, the announcement of a casino coming to the city in maybe five years with its 2,000 jobs, fell to second. Still, it is a major announcement even if it take years of legal bills for Elk Grove taxpayers. On the bright side, it will have a buffet, and as he said during a City Council meeting, Mayor Steve Ly will be the first in line! 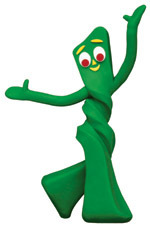 Gumby Award - His Honor, Mayor Steve Ly deserves recognition for his ability to twist and contort like Gumby on controversial issues and still hoodwink enough Elk Grove voters to get elected. We are referring to Ly's campaign mailer saying that he opposed the casino on one side of the printed piece and saying he supported it on the other side. With the ability to twist around like that, we only wonder, who will be his Pokey? Dumbest political statement of the year – Like so many categories this year, this distinction goes to Mayor Steve Ly. After losing the coveted endorsement of the Elk Grove Police Association to mayoral challenger Kevin Spease, Ly lashed out. Crying foul, Ly accused the cops of a “backroom deal.” We are quite sure if Ly is still Mayor when the POA goes into contract negotiations with the City, they will remember this. Least effective robo calls of the year – Interestingly, these calls came after the election was over and when the anti-casino petition organizers started circulating in Elk Grove. Sponsored by Sacramento-based Region Business, the calls were voiced by Mayor Gary Davis, City Councilman Steve Detrick and Region Business’ Executive Director, Joshua Wood and urged voters not to sign the petition. Needless to say, the petition gatherers obtained far more than required, and the matter appears headed toward a special election. Most suspicious political statement of the year – While Mayor Davis’ announcement in July that he would not seek a third term might be classified as the surprise statement of the year, we take a slightly different view because of the reasoning he offered – he wanted to spend more time with his family - seriously! How many times have we heard that lame excuse from an elected official or corporate executive just before the boom falls? Now we will not engage in the rumor mongering circulating around Elk Grove as to the circumstances of Davis’ exit, but for a man who was collecting cash for his campaign right up to end, the real reason for his departure remains a mystery. Unless of course, you choose to believe his explanation. Promise of the year most likely to be unfulfilled – Elk Grove residences are accustomed to broken promises – see aquatics center above. 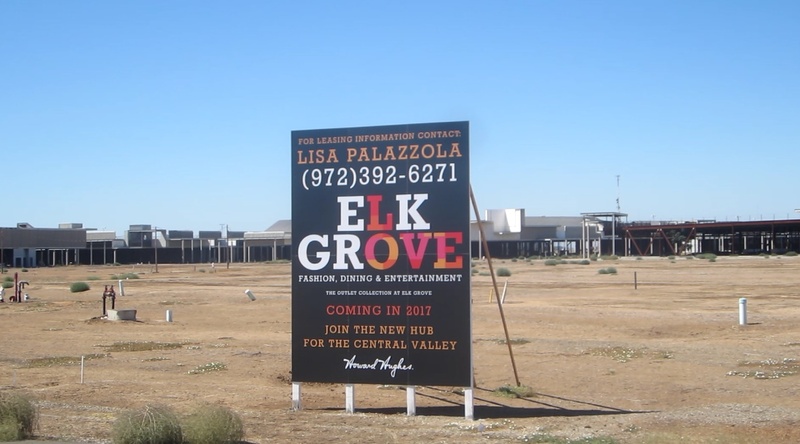 However, this year, Elk Grove shopaholics were promised that the long-stalled unfinished – 8 years and counting – Outlet Mall at Elk Grove will be open by Black Friday, 2017. That is less than 11 months from now, and things still look dormant at the Ghost Mall. Promises, Promises! 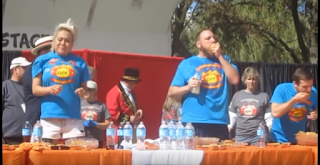 Had egg on his face following Public Information request award – Without a doubt, this goes to the City of Elk Grove Economic Development Director, Darrell Doan. 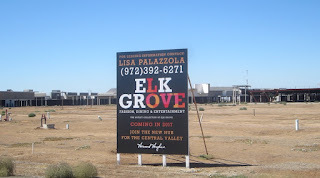 After it had become apparent the Wilton Rancheria had its heart set on building its $400 million resort casino next to the Ghost Mall now known as the Outlet Collection at Elk Grove, the City of Elk Grove said as late as July that they were neutral on the proposal. However, a public information request showed correspondence between Doan and casino proponents with Doan saying the city was “supportive” of the casino. 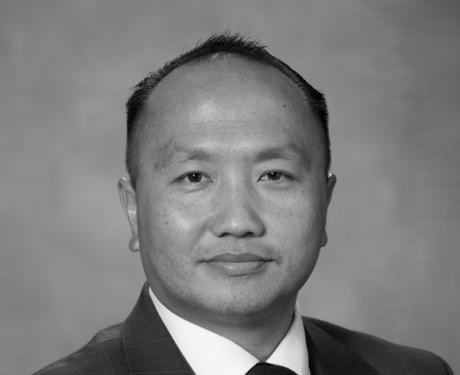 Elk Grove Councilman of the year – This year we recognize Darren Suen for his body of work over the last 12 months. While we strongly disagree with his wrongheaded resistance to the more democratic, and Democratic, principle of making Elk Grove a by-district form of government, Suen is nevertheless prepared for every council meeting and thoughtful in his deliberations. 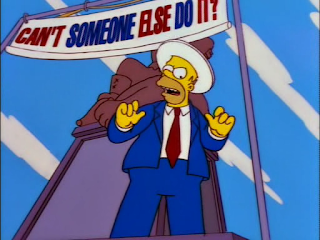 Perhaps Mayor Ly could take a few pointers from him. Furthermore, given already Ly's weak stature as Mayor, we hope Suen can exert his expertise and become his own man on the council. Flip-flop of the year - Again, Mayor Steve Ly wins the award. Speaking to the Elk Grove Democratic Club last summer, when asked about changing the City to a by-district form of electing council members, Ly said he opposed the proposal. However, after being elected, Ly changed his tune saying at the last City Council meeting of the year that he wanted by-district voting for council members. Could Ly's change of heart be that as Mayor he could have more perceived power being elected on a citywide basis versus four or six council members elected on a by-district basis only? "In Memory of Harry E. Kinney" award - What will former Mayor Gary Davis do now that he is out out of office after serving Elk Grove for over 10 years? No one is sure, but perhaps he can take the same path of former Albuquerque Mayor Harry E. Kinney after he left office. Kinney, who served his city for two terms as Mayor, famously drove a taxi cab for five years after leaving office. The best part for Kinney though was following his distinguished public service career, Albuquerque named its Civic Center Plaza in his honor. Unfortunately Davis didn't accomplish as much as Kinney did otherwise one of the City's several unfinished projects could have been named after him. 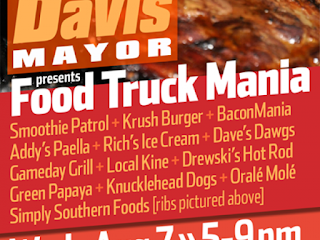 Oh well, perhaps as a consolation prize the City will see fit to have the monthly Old Town Elk Grove SactoMoFo Food Truck gathering renamed in his honor. 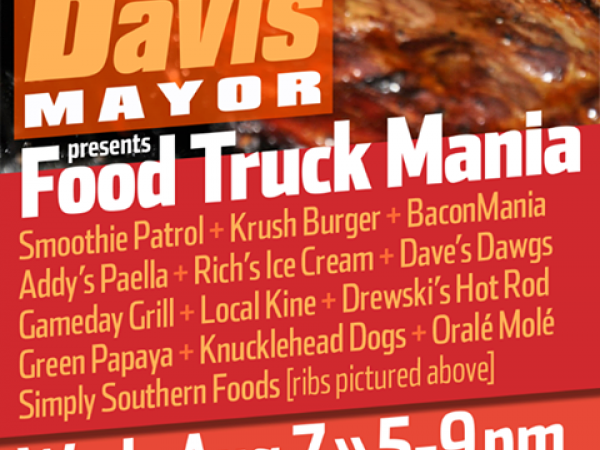 This would be fitting as it was about the only thing Davis accomplished while Mayor of Elk Grove. public’s attention last year, so it qualifies as 2016’s most notable scandal. We are of course referring to Mayor Steve Ly’s termination as the Executive Director of the Sacramento-based Asian Resource Inc. Ly was terminated for among other things including incompetence, financial mismanagement, and leadership failure. Naturally Ly filed a discrimination lawsuit against the non-profit community aid group that was dismissed before it went to trial. A thorough review of Ly's scandal is available here. Notwithstanding his incompetence and lack of leadership, Ly is now the figurehead of the second largest city in the region. Go figure. 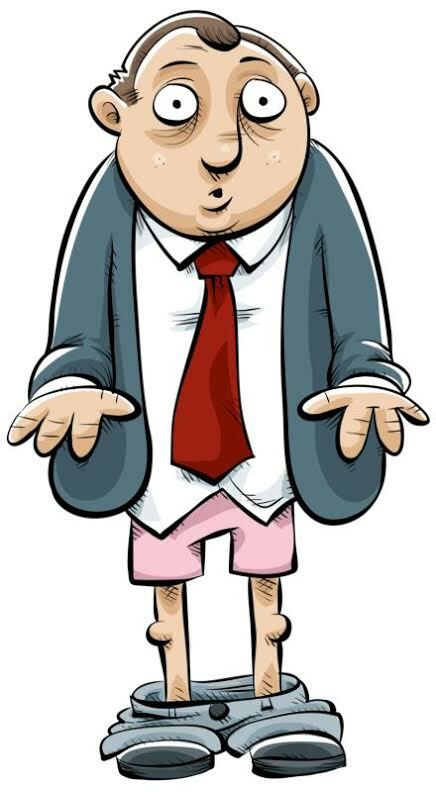 Embarrassment of the year – This undoubtedly came following Mayor Ly’s police endorsement “back room deal” debacle. Coming to the aid of the cops was Elk Grove Councilmen Steve Detrick and Darren Suen who censured Ly for his criticism of Elk Grove’s finest. Detrick and Suen undoubtedly had their parochial reasons for speaking out, but it nonetheless highlighted Ly's petulance and pettiness. Most narcissistic Elk Grove City Councilman – Without hesitation, this goes to his honor, Mayor Ly. First, there is his need to have his own personal photographer, then there is the constant drumbeat of his humble beginnings, and we cannot ignore his fetishes with being in the media spotlight. Then of course there are his very own personal Vice Mayor, and not surprisingly Mayoral seals. More appropriate Mayoral seal – Given Mayor Ly has not held any of his now three elected offices for more than two years, and add to that rumors are already swirling that he is eyeing a run for Congress in California’s 22nd District, which includes his hometown of Clovis, perhaps this is the more appropriate seal for Ly. It helps to have friends and a spouse in high places – Picture this – a political novice raised over $160,000 for a seat on a relatively obscure, yet powerful board. This was the case for the recently elected Heather Davis to the Sacramento County Office of Education Board of Directors. Of course, the key part for Ms. Davis is that her husband, Gary Davis was Mayor of Elk Grove and more importantly, works for the California Charter School Association, who by the way, gave Heather Davis the lion’s share of her campaign funding. Friends in high places means money, and money means electoral success – just look at Heather Davis. Take that Roseville, Folsom, El Dorado Hills and Granite Bay! – Sure Roseville has a massive tax-generating mall, and soccer fields under constructions; Folsom has cultural amenities and a major employer; while El Dorado Hills and Granite Bay have executive housing, but Elk Grove has something way beyond compare. Elk Grove is home to the World Pumpkin Pie Easting Contest! Now that sort of high culture is a sure fire way to make Elk Grove a destination city, well for at least one day a year! Understatement of the year – At a meeting held in July by the Wilton Rancheria regarding their proposed $400 million casino resort, Chairman Raymond “Chuckie” Hitchcock made the understatement of the year. When asked when the casino might be open, Hitchcock said it would be about five years from that point. Given the obstacles and forthcoming lawsuits, Hitchcock probably underestimated just how long it might before the craps tables are open up for a roll of the dice. 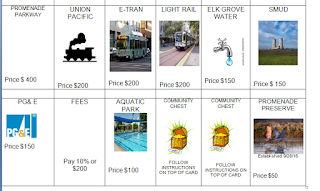 Sometimes the little guys win award – With a massive $1 million dollar developer-funded war chest, the Sacramento Transportation Authority lost its bid to raise sales taxes by one-half cent for 30 years with their Measure B proposal. They lost to a ragtag bunch of voters centered around the group call Don’t Double The Tax, which had about $30,000 in funding. That sparse funding and their supermajority advantage led to the defeat of developers money. maintenance to point there is a $70-million backlog. For the last several years the men of the Elk Grove City Council were so confident on the passage of Measure B (see category directly above) that they just kept fiddling away awaiting this source of funding. Alas, that egg never hatched. Nonetheless, given this City Council’s obsession with grandiose projects like the still-on-the-books $100-million soccer stadium and their benign negligence of maintaining even the most basic of our infrastructure, our inclination is to believe they will continue to spank the monkey and leave the roads to someone else to deal with in say 20 years from now. As Homer Simpson said when he ran for office, can’t someone else do it! Leave it to Ly! - Not everyone can manage to insult a centenarian, but our very own Mayor Steve Ly found a way to offer flippant comments about this noteworthy milestone of an Elk Grove resident. Gone, but not for long – Last summer the Elk Grove City Council discussed several controversial items, all of which were temporarily scuttled. Among them were a possible local sales tax increase, a full-time Mayor and a full-time City Council. All three will undoubtedly resurface for a variety of financial and political reasons. Proof the Elk Grove is a safe place to live, shop, and work – As evidenced by the rash of fights that broke out in shopping malls across the country on the day after Christmas, Elk Grove did not experience any such violent incidents. Ooops, that’s right, we don’t have a mall! Courage awards – This was a good year for Elk Grove City Council races as measured by candidate participation. While incumbents not surprisingly retained their seats given the good old boy club from the at-large by-district system they help perpetuate, there were several individuals who despite facing long odds, still threw their hats into the ring and gave it their best shots. Bravo Zulu to all those candidates! Best business idea out of Elk Grove for 2016 – To be sure, this year was a good year for beer lovers in Elk Grove with the opening of two breweries and one more on tap. The real winners though are for those remaining old school board game fans. One creative local entrepreneur developed their version of Elk Grove Monopoly. 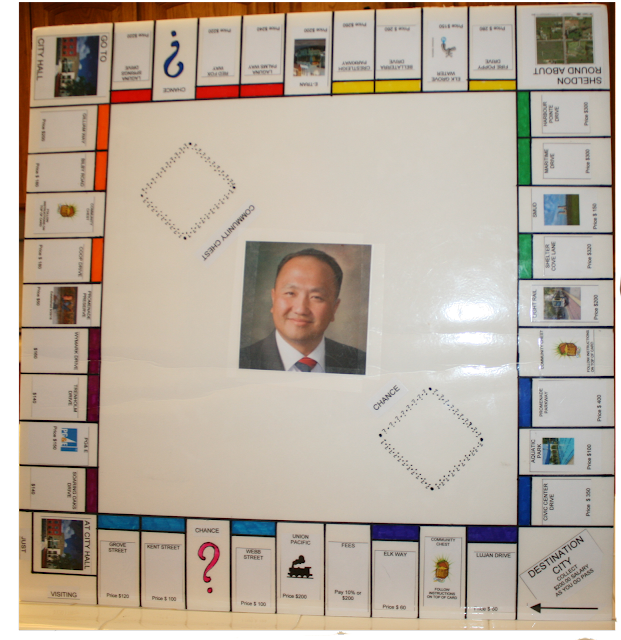 The set is complete with deeds, Community Chest, Chance, and while there is no Go to jail cards there are Go to City Hall, go directly to City Hall, do not pass Go, do not collect $200 cards. Now if there was ever a candidate for Doan's Dollars and $5,000 in prize money, this is the one! Welcome to Elk Grove 2017 - Destination City!